The Tale Of Three Eagle Swordsmen! 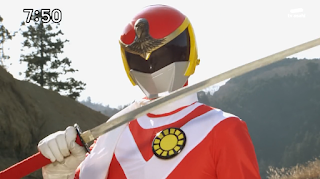 While watching Zyuohger, it's time to review on the eagle swordsmen. So here's the list aside from Yamato Kazakiri. Let's get started shall we? So What's Up With Zyuoh The World? Zyuohger has been a very enjoyable treat to the point I'm not that excited for Kamen Rider Ghost's next episode (I'd watch Kamen Rider Kiva over it). I'll admit, this week's episode was The World's redemption but we're yet to see him officially as a sixth ranger. When I looked at the first episode he made his appearance as some human experiment by Genis (Flashman shoutback?! ), I think about some other episodes in Super Sentai. Super Sentai anniversaries tend to throw older fans years back at times. 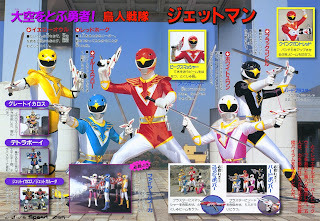 Gaoranger had returned several veterans for its crossover. Boukenger had an encyclopedia. Gokaiger had a lot of cast members resuming their roles. While I don't expect Gokaiger's feat and glory in Zyuohger but I'm expecting a couple more throwbacks to different eras. Taking Super Sentai And Power Rangers Into Space! While Grown Ups In Spandex is subbing Changeman and Flashman, I felt like the popularity of space-based science fiction like Star Trek, Star Wars and maybe some Marvel Comics series have inspired some characters. Then we had Power Rangers in Space and Power Rangers Lost Galaxy which took Power Rangers into space. Considering that Zyuohger is an anniversary season, I guess the series now takes place in the VS. Universe instead of being standalone. This does pose some problems because in Super Sentai, dinosaur extinction varied from show to show. Zyuranger has it as Bandora's fault. Abaranger has it that the dinosaurs were merely transported into another dimension so they're not really extinct. Boukenger has it as Hyde Gene's fault. Go-onger has it as Horonderthal's fault. Kyoryuger has it that the virus, cold and heat trio of the Deboss killed the dinosaurs. So I wonder how are events supposedly reconciled in the whole VS. Universe or are they treated the same way as Super Robot Wars games?! Super Sentai Anniversary Sixth Heroes And The Power Of Three! 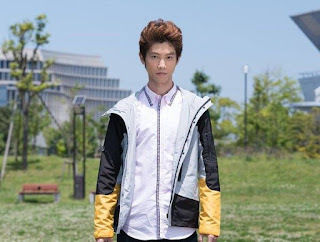 Considering that Misao Mondo/Zyuoh The World is an anniversary Super Sentai sixth ranger, I thought of writing this post concerning his predecessors. 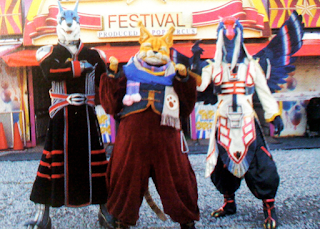 The appearance of yet another sixth ranger having the power of three in Zyuohger is no surprise to me at all! Misao is powered by three Zyumen and has a wolf, crocodile and rhino as part of his symbols. Let's take a look back at the others who have the power of three as well. So Chojin Sentai Jetman Not Gekisou Sentai Carranger Saved Super Sentai? So I read from Tokusatsu News Network a couple of days ago that Jetman, not Carranger saved Super Sentai. I still remembered the shock I had when I realized this fact: Fiveman wasn't well-received and the show was problematic during its airing. I even think that as much as I want to see Fiveman all over again, I still think that GoGoFive is miles better as a family-based Super Sentai. There was the Hirohisa Soda era where he served as the head writer for Goggle V, Dynaman, Bioman, Changeman, Flashman, Maskman, Liveman, Turboranger and Fiveman for nine consecutive seasons. He started to show signs of burning out during Turboranger and met his inevitable burnout during Fiveman. Fiveman nearly cancelled Super Sentai so I guess Jetman was meant to be a "finale" but instead, it opened up another era. Producer Takeyuki Suzuki soon worked with Toshiki Inoue for Chojin Sentai Jetman. The Soda era came to its closure with the great writer meeting his inevitable burnout. After watching GoGoFive's finale arc and remembering Fiveman's finale arc, I thought I might bring up the topic of Empress Meadow and Grand Witch Grandienne. So how were both handled in their respective series? What you see might be my severe and harsh criticism of some of Fiveman's weaker sides as a Super Sentai series. Then again, GoGoFive has its own series of weaknesses too. As said, I'm having a much easier time comparing GoGoFive to Fiveman since Lightspeed Rescue has a much different approach with its team members. Warning: Spoilers ahead! Read at your own risk! So there's been a couple of seasons already which had a recurring theme of negative energy and positive energy. In Ultraman 80 and note I'm not an Ultraman fan, it was said that negative energy gave birth to the monsters in the show. It was also done in Kamen Rider Black RX where the Crisis Empire was apparently born from humanity's evil. 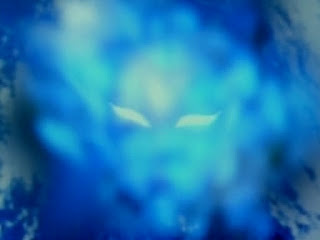 In Kamen Rider Black, the "Creation King" of Gorgom claims he'll return as long as evil exists in the hearts of humans. I think Jaspion also had that idea of negative energy involved. After seeing Zyuohger's 16th and 17th episodes and there's some silliness yet again. I mean are the Deathgaliens somewhat stupid not to know a Zyuman from a mascot? I guess this is really meant to address a message that Super Sentai is primarily aimed for children or just for laughs. Sentai Rambling: Super Sentai DVDs For The United States And... Me Sharing My Opinion About It! Part 2! How bad is Ohranger? Practically everyone who worked on the show, who had been with the franchise for numerous years, walked after that year. How bad is Ohranger? Super Sentai fan and Nerdiest Idol of the Nerds Shoko Nakagawa doesn't like it. How bad is Ohranger? Power Rangers fans consider the Power Rangers season which used Ohranger footage, Power Rangers Zeo, to be superior. Power Rangers Zeo, aka the season where they opt to focus more on Bulk and Skull becoming defective detectives than they do on any Power Rangers action, because that's what little choice Ohranger left them. There's the claim that Kimberly Hart is the first crush of every 90s kid. But is that really the case? Not always. She may be one of their crushes back in the 90s but she's not necessarily the first. If you're in Japan, you might have had other first crushes and I guess I'll bring up my very first Tokusatsu crush: Hikaru Katsuragi. She's probably another character that Toku fans claimed was every 90s first crush. For some yes but for all the 90s kids, no. There were other Toku girls that became their first crushes. What can I say? The mission has been completed. It's time to get it over and done with with another review. After watching the series, I don't have much reason to compare it that much to Lightspeed Rescue since both shows had their own merits and writing styles. Lightspeed Rescue wasn't about a family that fights together but the bond of friendship that happens in any superhero team. GoGoFive was more focused on the theme of family bonds like Fiveman and Magiranger. But I guess I'll compare GoGoFive to Fiveman. As for Magiranger, GoGoFive is miles better than that show. So where do I start with this review considering it's official... I've got the mission complete status with GoGoFive!